I spent most of December on vacation in Antarctica and Argentina and kept a wine diary. This is the final chapter; chapter 1 is here. Buenos Aires and Malbec at last! To have another go at a Buenos Aires steak, we head to La Cabrera, which is also in the Top 50 Restaurants in Latin America. I decide to try a famous cut and get "ojo de bife" -- ribeye. My wife wants tenderloin. We order fried potatoes and, craving fresh greens which were rare in Ushuaia, an arugula salad. La Cabrera's wine list is shorter than Don Julio's. There are only two white wines, both Chardonnays, which seems surprising for a place where one can order chicken. But, see the previous diary entry: people drink Malbec with anything here. The list is about 70% Malbec, 15% Cabernet Sauvignon and a few blends and other varieties. I tell the server that I like more elegant wines, less powerful, and I'm not a huge Malbec fan, but I wouldn't mind a Malbec blend. He's sympathetic but guides me toward wines he likes because "it's strong, very strong." Flying semi-blind, I order Rutini Cabernet Sauvignon-Malbec ($35), 50% of each, 14.1% alcohol. It's surprisingly high in acid and I think it must be acidified; it's racy and a little vegetal. I'm not in love with it until the food comes. But when that happens, it's like Pharoah being served. Holy crap, is there suddenly a lot of food on the table. My steak, the "small" size, is large. My wife gets two big hunks of meat. The salad, the fries; they're enormous. And La Cabrera's specialty is an array of free side dishes in metal cups: sliced olives, fried artichokes, pureed sweet potatoes, applesauce -- we can't sample them all. The Rutini is a big help. Whether its acidity is natural or not, it keeps refreshing me after hunks of perfectly seared rare ribeye, or very thick-cut fries, maybe only 6 per potato, hot in the middle and crispy outside, dunked in a side of melted cheese with sweetcorn. Malbec, you can be my friend, as long as you come in a Cab. Upon returning to Buenos Aires on Dec. 21, our thoughts went quickly to Christmas: not the birth of Jesus, trimming of trees or exchange of presents, but the citywide restaurant closures. Argentina primarily celebrates Christmas Eve (nochebuena), not the day itself, which I don't understand: they celebrate the anniversary of a world two millenia ago which didn't quite yet have Jesus! Families take the World Before Christ seriously enough to gather, cook, and shoot fireworks and firearms at midnight. Less than 0.1% of restaurants are open on the evening of Dec. 24, and those that are celebrate the anniversary of World Before Christ (WBC) with super-expensive fixed menus. This makes sense because Jesus wasn't around yet to smite them with boils for charging $200 US each for three courses made by the one line cook with the least seniority. Nor was Jesus around to multiply the loaves and the fishes for tourists wandering around looking for an open fast-food joint. Tourists are advised to book as soon as they can. Our hotel helps us find a table at a restaurant nearby. We drop by to pay in advance, as advised, to make sure that on the night they don't declare there's no more room at the inn. It doesn't have a long wine list and naturally it's nearly all Malbec, which is fine as we'll have beef tenderloin. I take photos of the list and devote a silly amount of time to researching and deciding what I'll drink. It's only one night, one meal, and we don't even expect it to be great. But it's a goal, the only one I have this week, with our Antarctica trip over and our leather jacket shopping done. There are few resources online about Argentine wines. Even well-known Argentine Malbecs imported into the US have little commentary about them: not like wines of equivalent popularity from France or Italy or Australia. No tasting notes, no tech sheets, no blog posts. This is an Internet niche waiting to be exploited, and if I loved Malbec maybe I would, but I just want to find something drinkable. I visit wine shops to hold the bottles in my hand -- the hotel restaurant list doesn't go into obscurities -- read the back labels and look at the alcohol percentages. Eventually I decide to go with Luigi Bosca Gala 4, a blend of mostly Cabernet Franc with a little Malbec that's 14.5% alcohol. I obsess on this decision as only a wine geek can do. I talk about this wine with the sommelier at the Top 50 restaurant we go to two days before WBC. I talk about it with the owner of the restaurant we go to the night before WBC. I ask other wine shops about it. And I begin to get very excited. Gala 4 is only $30 retail, $50 on the list, but I anticipate this wine as much as any I have all year, just as the wise men must have anticipated something would show up under that star. 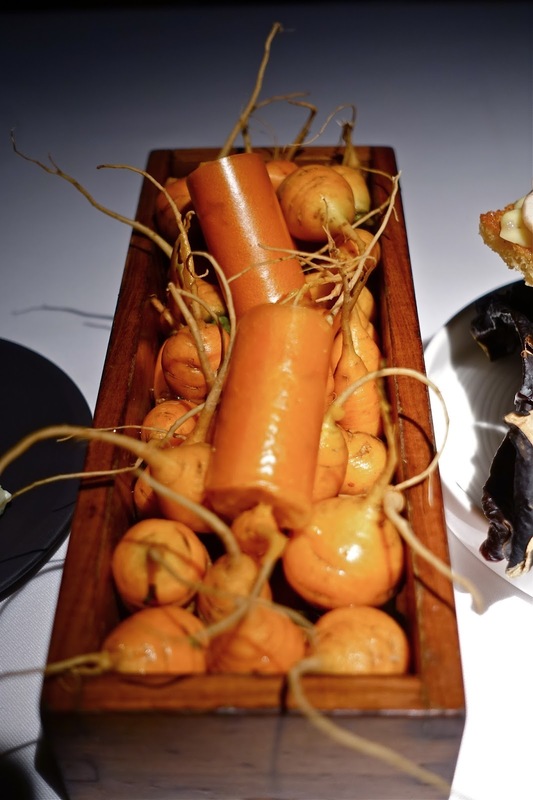 Aramburu is in the Top 50 Latin America Restaurants, but not for the wine, which is ordinary. We like more than half of our 19 courses and love several. A crunchy carrot cannoli filled with carrot mousse is an early highlight, alongside a tiny sandwich of fragrant mushrooms and mushroom-infused cheese on toasted brioche. Aramburu is also good with meat: a thin log of pork, crisp skin and earthy flesh, accompanied by lemon ice cream. Perfectly cooked quail with a a smattering of fried quinoa. And of course, a sous-vide slice of very rare but sufficiently cooked beef, alongside sous-vide fig and eggplant. But it struggles with seafood, overcooking and hiding the source ingredients of oyster, fish and king crab. Perhaps the misfires can be chalked up to kitchen staff going home early for WBC. Unlike at Tegui, where the wine pairing introduced some unusual and memorable choices, these are all mainstream. That doesn't mean bad: Catena Angelica Zapata Chardonnay 2013 is terrific and I finish two glasses. But the rosé is poorly chosen and metallic, and I can't drink it. The sommelier pours Finca La Escuela Malbec 2012 to go with the beef and I hate it. I still have two glasses of Pinot Noir in front of me: Bodega Chacra Barda 2012 (best red of the night), and Salentein Reserve. She notices I'm not touching the Malbec and we talk about beef and Malbec. She says customers in Buenos Aires expect Malbec with beef, and she chose Finca La Escuela because it's lean and won't overpower the dish. But it has the opposite problem: it's underripe and vegetal and unpleasant. Perhaps it's difficult for winemakers to pick Malbec grapes in the exact sweet spot, that knife-edge between underripe and ripe where so many great Bordeaux used to live and so many Pinot Noirs still do. We talk about Bern's Steakhouse in Tampa and I tell her the sommeliers there convinced me to drink Pinot Noir with steak, and I still prefer it. She confesses that she does too. The good news is she tells me my Christmas Eve choice, Gala 4, is excellent, not too ripe, very Francky. "You'll love it," she says. We have inexpensive white wines with our next two meals. Montesco Verdes Cobardes ($14, 12.5% alcohol) is a four-grape blend of Sauvignon Blanc, Semillon, Viognier and Chardonnay, and it's refreshing and interesting with grilled squid and roast baby goat at Las Pizarras. We find a table on the second floor for lunch at a seafood catering place called La Marisqueria and they have a half-bottle of Bodegas Lopez Blanco for $3 U.S. It's 100% estate-grown Semillon, 11.9% alcohol, and delicious: my second great $3 wine. You can't get a glass of non-plonk in the U.S. in a restaurant for less than $7. Is it land prices? Labor? The weak peso? Or do Argentine wineries (Bodegas Lopez says on the label it was founded in 1898) simply want to provide real wine to the people at an affordable price? Alas, they're all closed, and it's 90 degrees out and humid so we see the Star Wars movie, which is also about a world leading up to Christ, but in this case he's played by Mark Hamill. All day I talk about the Gala 4 and how I'm looking forward to having some Cabernet Franc. You know where this is going, right? They're out of it. Of course they are. They have put a bottle of Malbec on our table; it's $200 US on the list. The waiter starts to open it. "No no no," I say. "I want the Gala 4." It's a while before I'm convinced they really don't have it, as they keep recommending "very strong" wines that are well over $100 US. Where's Jesus when you need him? I reject all, walk over to the bar and have the staff pull bottles out of the shelves so I can read the alcohol percentages. Just as in Ushuaia, they tell me they're all the same, but at least they say it politely. They're clearly at a loss as to how to handle this American freak who says there's a difference between a wine with 13.8% alcohol and 15.5%. They look concerned, but it's a hotel restaurant: they must have had similar experiences with guests who insist the thread count of the sheets is insufficient, or their room is haunted. 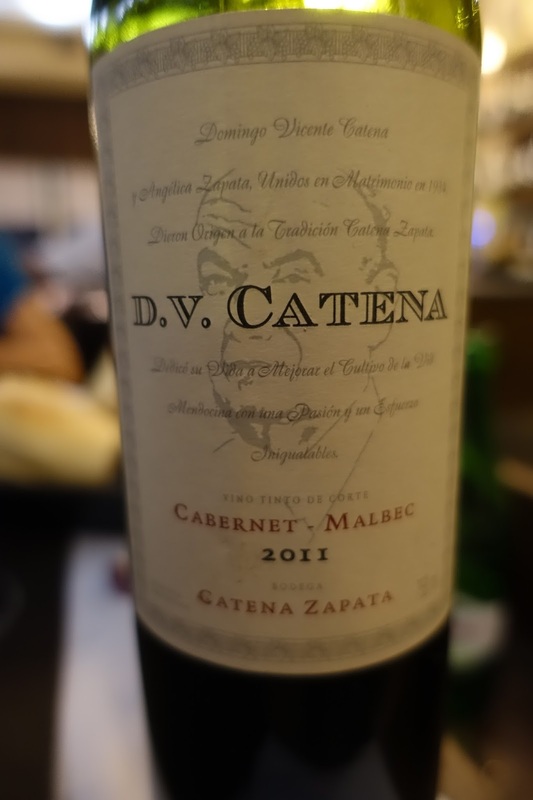 I settle for DV Catena Cabernet Sauvignon-Malbec 2011 (13.8% alcohol), $40 on their list, and it's nice, with good acid to cut through unnecessary cream sauce on the beef tenderloin. I was never expecting a great meal on The Night Before Jesus, so I'm happy enough with the food, but even though the wine is better than the food -- in fact it's quite good -- I am salivating with the thought of drinking Cab Franc when I get home. Argentines like to celebrate midnight on Night Before Jesus with fireworks, so we've been told by everyone and every guidebook, so we drink coffee and sit up on the roof, just as we will the following week in San Francisco. "Fireworks," though, in this case means loud bangs with no flash. It sounds more like a gun battle. In about 20 minutes of constant explosions, there are only three or four that make any mark at all in the sky. It's all powerful noise, no elegance or beauty. More restaurants are open on Christmas night than the eve, but choices are still limited, which is why it seems like a good time to catch a tango show. Rojo Tango, the best regarded, costs nearly $300 a person. I know that's what entertainment costs these days, but I'm spoiled by buying $24 tickets for the Oakland Athletics, admittedly not a franchise on par with Rojo Tango. We opt to spend $140 each, with dinner, to see Rojo's AAA club, Cafe de los Angelitos. You can spend more for your tango tickets to get slightly more expensive wine, but I follow my theory that I'm just as happy with the cheapest and they serve us San Felipe 2015 out of a Frankenwine shaped bottle. We both order fish, even though steak would clearly be the better option, because we have lunch reservations the next day at La Cabrera for our final meal in the country, so I get the white wine. It's a blend of Chardonnay, Chenin Blanc and Semillon from Mendoza, 13.2% alcohol, and while I don't learn the price it's cheap enough for a tango show to give endless refills. It's fresh and fruity but not sweet, well-balanced, and I drink a bunch, but unfortunately not enough to make tango as interesting as baseball. It's more interesting than the 2015 Athletics, though, and they don't serve free wine. Get with the program, Oakland. Of the two major steakhouses we visited, Don Julio has the better wine list, but we preferred the steak at La Cabrera, so that's where we go back for a lengthy lunch before boarding a night flight. When you're going to spend 11 1/2 hours overnight in steerage, why not do so with a belly full of beef and wine? Part of me says I should get a Malbec to commemorate My Month of Malbec. Another part of me says, screw that, get a wine you're more likely to like. The server helps me out. I've learned a better way to describe what I want: "I don't want a strong wine. I want a wine that's softer, more elegant, lower in alcohol." He recommends Nicasia Vineyards Red Blend 2014 from Bodega Catena Zapata. It's 90% Malbec, 6% Cabernet Sauvignon and 4% Petit Verdot: I love the idea. I'll drink Malbec, but with flavor. It's only $30 and 13.6% alcohol. Sold! Then I worry. I would not order this wine in the US. It says "Red Blend" right on the front even though it could be called Malbec. I said I want a "soft" wine, but that's a code word on U.S. labels for "sweet," as is "red blend." Did I just order fruit juice? Fortunately not: It's a fine wine, with the straightforward fruit one expects from Malbec with a little depth and structure from the other grapes. It's one of the best wines I've had on the trip. My Month of Malbec has a happy ending. When you started reading this diary, did you expect that at the end Malbec and I would hug, and I would come to appreciate its place in the pantheon of world wine grapes? That didn't happen. I found some fine underappreciated wines in Argentina, and got in touch with my inner cheapskate. I also learned that grappa, or red blends, might be Malbec's highest and best use. From sommeliers at two Top 50 restaurants, I learned that some in the wine community in Buenos Aires feel the same about Malbec as I do. But from seeing Malbec on the table of diners at seafood restaurants, I learned that the average diner is voting for Malbec with his wallet. We had a good time in Buenos Aires and Ushuaia, but we didn't really go to Argentina for its own sake: it was a stopover. The point was Antarctica, and that was a trip of a lifetime. I was happy to drink Argentine wine for a month (plus one Beaujolais), and felt that I drank well. And I even finished with at least one delicious bottle of Malbec. The night we got home, we had Champagne. Being fortunate enough to like malbec, having visited BA before all the tourists arrived, when La Cabrera was just a fun neighborhood spot with an enormous amount of food, not having enough money to worry about big deal wines or top 50 restaurants, not spending a bundle on a tango show and dancing with the locals. Paying less for more is almost always better. Not every wine is listed as you describe. Older wines that come from private cellars sold to K & L are "one-offs" that can't be tasted by the staff because they are irreplaceable. Hence no store staffer's tasting note. But other listings comprise both wine critic reviews and store staffer reviews. Reviews by Bob Campbell, Raymond Chan, The Wine Advocate, Wine Spectator, and Stephen Tanzer's International Wine Cellar. "Seriously good Marlborough Pinot Noir. This is sourced from Dog Points BioGro organically certified vineyards in the Southern Valleys sub-region of Marlborough where the dense clay soils and north facing aspects make for some fine Pinot Noirs. The long, cool season in 2012 allowed great hang time and flavor development. 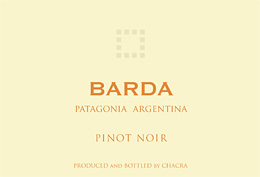 The wine shows dark forest berries, rose petal, spiced plum, leaf litter and clove. The wine is medium bodied, with supple, ripe tannins and vibrant acidity. The finish is nicely lifted by French oak spice and more red fruited accents. Delicious Pinot that shows why this sub-region is separating itself from the pack in terms of high(ish) end Marlborough Pinot Noir. Drink from 2015 to 2020."